Trail running is definitely adventurous, but can also get extremely hard if you do not run with the right shoes. So if you run with ordinary rubber shoes or cheap trail running shoes, it can lead you to slip and fall during your trail run. 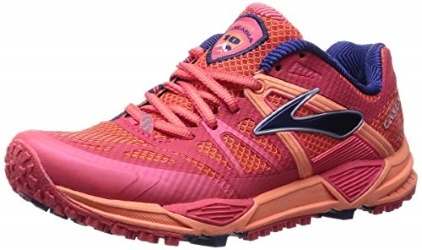 To figure out the best trail running shoes for women in the market, you first need to know how to choose trail running shoes, and understand the differences between trail running shoes and ordinary running shoes, and their individual benefits. But What’s the Benefits of Trail Running? You should now have an idea as to what you need to look for in a pair of trail running shoes. Normally, women with bigger and wider foot sizes than normal can wear the ones that are made for men. However, the rest must count on the ones that are tailor-made for women and that come in a wide range of sizes. Here’s a list of all the shoe brands and models that have made their way into this list. This shoe’s rubber sole is made from textile material and that makes it lightweight and flexible . This trail running shoe has a mesh and TPU traditional lace closure, which allows you to feel more comfortable while wearing the shoe. It is styled to give you a barefoot feel and the mesh lining keeps it cool and dry. This pair of shoes is made from textile, synthetic and mesh materials. It has a rubber sole that protects the foot from the impact of the ground acting as a shock absorber. It features the Adiwear outsole that provides durability and stability while giving a good grip on the terrain that you run on. The mesh material is breathable and is designed to provide proper ventilation to the foot keeping it cool and dry. It also has a non-marking rugged trail outsole. This shoe is made from synthetic materials and has a rubber sole. 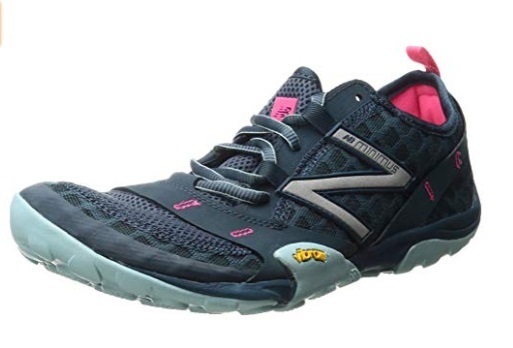 These rugged trail running shoes feature contrast stitching, multi-mesh paneling, and around-the-top collar bungee detail. All of that makes it more durable. These shoes conform to the shape of the feet, and retain its springiness even after several uses. It has a Memory Top comfort insert, which allows the user to feel more comfortable. It has a 12 mm heel-to-toe drop, which is ideal for users who wish to have some heel drop on their shoes. This running shoes are made up of synthetic and mesh materials. It is lightweight and also breathable because of the mesh element that keeps the feet protected. The synthetic overlays that make up the rest of this shoe makes it lightweight while providing overall structural support . It has a mid-saddle construction that is comfortable, and a plush tongue and collar that keeps the user protected while providing necessary support. This product is available in four colors and fourteen sizes. The mesh material that makes up this shoe prevents unnecessary debris, while the textile material makes it water-resistant. It has a rubber sole that absorbs the shock from the impact, allowing the foot to be more comfortable inside the shoe. This shoe has an aggressive grip towards soft, technical trails and helps provide stability and security while you are running. 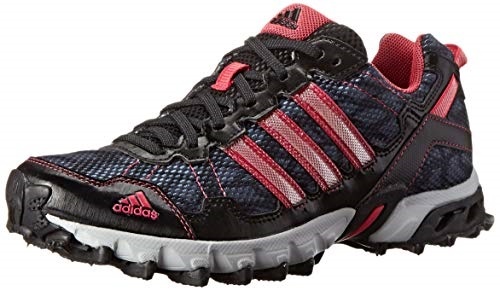 This pair of trail running shoes is available in four colors and thirteen sizes. It is made out of textile and synthetic materials that makes the shoes lightweight, while being breathable and comfortable to use. It has a rubber sole that allows great traction while being able to absorb the impact of the foot on the ground. The shaft measures as low-top from the arch, which allows the user to have more mobility in terms of foot rotation while running. It also has a removable insole. 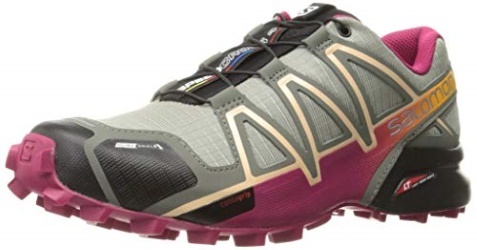 This pair of trail running shoes is available in seven colors and twenty-four sizes. It is made up of textile and synthetic materials and has a rubber sole. The shoe measure as low-top from the shaft to the arch, which allows the user to be more mobile and lets the foot rotate better. The injection molded EVA midsole allows for good cushioning and compression while the foot is pressed against the midsole. This product has toe protection that protects the toes against shock from impact. The rubber sole of this trail running shoe is made up of textile and has a thin upper portion that’s made of synthetic materials. That makes it durable and breathable while also being lightweight. Its oblique toe shape gives a more enhanced fit that provides more security to the wearer. It has a removable foam insole that can be washed anytime and can even be replaced with a better insole of your choice. 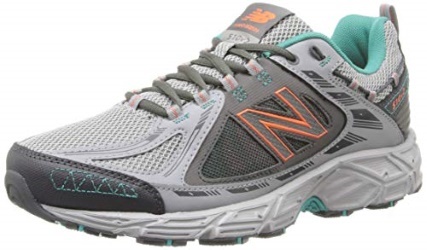 This trail running shoe is available in three colors and twelve sizes. It is lightweight because its made up of synthetic materials. The shoe has Activa midsole with antimicrobial properties that helps reduce odor. The Vibram midsole allows a 4mm drop and is odor-resistant. It has flex grooves that give good traction and durability on rocky trails. The shaft measures low-top from the arch, which allows you to be able to move your feet more freely than in other brands. The shoe’s anti-debris mesh material protects the feet from dirt, and its water-resistant textile protects the feet from water and mud. It gives a strong grip on rocks and technical trails to ensure stability and to keep the the shoe secured to the foot. It has a precise foothold, which enables the user to feel the terrain while also being comfortable. The midsole conforms to the shape of the foot and also protects from shock caused by the impact of the ground to the foot. The molded EVA in the midsole keeps the foot comfortable and is available in a wide range of colors and in sizes up to 12 inches. If you are new to trail running and find it hard to analyze your needs, choosing the best trail running shoes may get confusing. There is always going to be that “someone” to assist you in finding the right shoes in an brick-and-mortar store, but not when you shop online. So if you are buying online, read the below-listed features in order to get an idea of how to choose the right trail running shoes. Rugged Grip – To run on terrains, traction is very important and can vary due the irregular surface caused by nature. Rugged soles help you to cling on to rocks, mud, gravel, roots and rock slabs. Foot Protection – Rocks and other debris that frequently hit your foot may cause more damage if your foot does not get enough protection. A shoe with internal and external protection helps shield your feet from the impact of the hard ground and debris, and is something you should look for. Stiff Construction – In the case of trail running shoes, it does not have to be flexible as you are going to run against hard and rugged surfaces. Also, trail running could lead to injuries unless you wear flexible and soft shoes. That’s because trail running makes your feet rotate a lot. 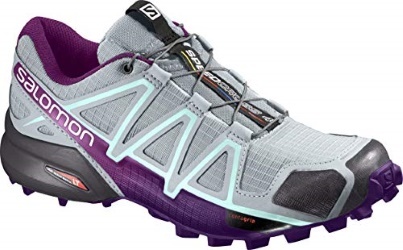 Controlling pronation is not a big deal here as you would mostly be stepping on uneven ground, so it should be the least of your concerns while looking for trail running shoes. Fit – As in the case of any kind of shoe, you would want one that fits snugly. That too without you having to sacrifice the comfort that you feel while wearing it. Depending on the shape of your toe, you should find shoes that either have a wider or narrower toe box. Depending on that, you can determine whether the shoe gives a wider or narrower fit for you. 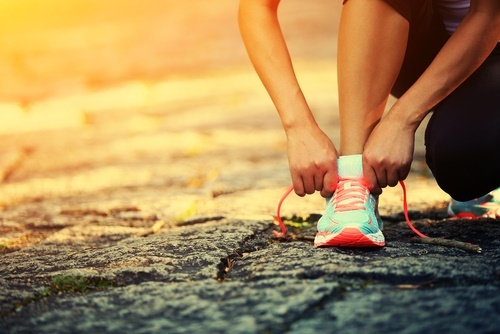 Heel Drop – A good way to know the ideal heel drop for your desired trail running shoes is by assessing the heel drop of your current running shoes. However, if you do not have any running shoes then use your other regular shoes to analyze the heel drop. Most of the time, you will be looking for a medium heel-to-toe drop, though low heel drops are also ideal for more muscle support. 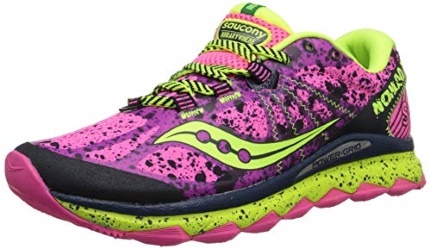 Ample Cushioning – Most of the trail running shoes differ when it comes to cushioning and do not have the same type of cushioning. This variation allows you to pick the best one depending on your needs and requirements. So pick one that you think is ideal for you while you run depending on the trail where you plan to run. You may also opt for cushioning that’s really low and makes you feel barefoot. However, maximum cushioning helps you regulate the impact of the the hard surface against your feet. Shoe type – Trail running shoes do not have a similar set of features because of the differing terrains for which they are designed. 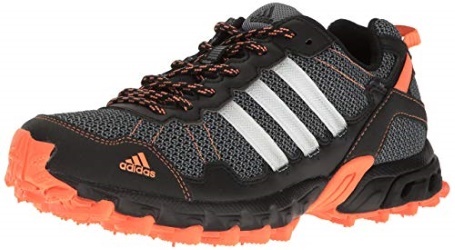 Depending on the difficulty of the terrain and the length of miles that you are going to run, you may choose light trail shoes, rugged trail shoes, or off trail shoes which have their respective features that you may need for your run. It does not require much thought in order to find trail shoes having a certain set of capabilities. It is an easier process when compared to shortlisting running shoes. Each of these are built with different purposes in mind. However, not all people know the difference between trail shoes and running shoes and hence may end up buying the wrong kind of shoe. To get a better understanding, you may go through the below-listed differences between trail running shoes and running shoes. Composition – Trail running shoes are made to support and protect the feet on the rugged terrains. Thus, these are traditionally heavier than other running shoes. These also provides more traction and can turn out to be quite beneficial when it comes to running on uneven terrains. On the other hand, running shoes have thinner soles and are usually made of lightweight materials in order to provide more speed to the wearer. Benefits – Most trail running shoes accord stability and protection when the foot hits the ground. Another benefit of wearing trail running shoes is that it lasts longer even under the worst conditions. That’s because these are built to last, which is why most of them survive through long runs in the trail. 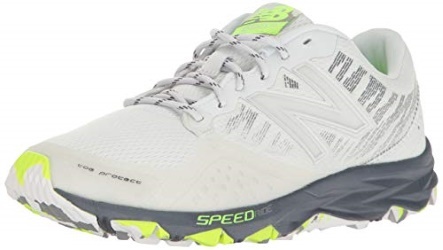 The running shoes are designed to give the wearer the ability to run at high speeds, that too without having to worry about the weight of the shoes. That’s because it is made as lightweight as possible while also ensuring durability. Features – Most trail running shoes have more cushioning and support to keep the feet protected against the uneven ground of the trail. This results in a thicker and nubby sole. Trail running shoes are made to be dense in order to outlast the impact that the shoe gets from running on such terrains. Running shoes have lightweight features that keep the feet cool and dry within the shoe, without having to sacrifice its lightweight properties. Sometimes they also offer thicker portions in order to support the feet better, but have lesser rugged features than trail running shoes. Helps Reduce Risk of Injury – While you run on uneven terrains, you may presume that it could lead to more pain due to the higher impact on your feet. So trail running shoes help reduce the impact and there is lesser pressure on your stride, which helps alleviate joint pain. 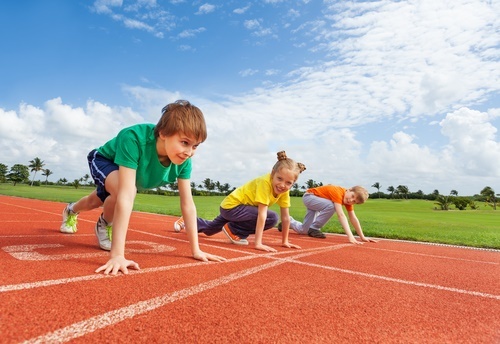 However, your body becomes more resilient because you are using different muscle groups. Less Anxiety – Running amid nature lowers anxiety because you get exposed to environmental elements that help you to de-stress. Not only this, exercising in general lowers stress levels and boosts chemicals that promote the feeling of happiness. That ensures a better mood after you run. Longer Life Expectancy – Just like any type of exercise, trail running enables you to have a longer life expectancy. That’s because you are engaging in a healthy habit that trains your body to become stronger, and thus boosts your immunity against diseases which may shorten your life. Not only this, going for a run along nature helps you get the many benefits that nature naturally provides. Less Fat – One of the benefits that comes with trail running is weight loss. That’s because you are using your body’s fat reserves to help fuel-up your muscles during the intense exertion. Trail running also helps you shed about 60 to 90 calories per hour because of the uneven terrain. Helps Lessen Depression – Nature helps combat depression, so by exposing yourself to nature and exercising outdoors you can lessen depression. That’s because connecting with nature helps reduce the vicious negative thought cycles that make you feel depressed. Running amid nature is also more relaxing when compared to running in urban environments. 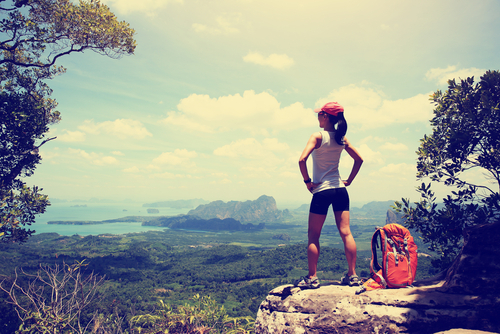 Less Cost – Running on trails does not cost you anything like it does to go to the gym. So you don’t have to pay ridiculous amounts of money just to exercise and keep fit. However, you need to do some homework before you head off on a trail run. You need a bottle of water to keep you hydrated while you run along the trail. You can refill the bottle several times as you run. Different people have different requirements from trail running shoes depending on their feet type. So a shoe may or may not suit a person depending on their toe sizes and feet shapes, so its very important to be careful while making a choice. However, in case the shoes listed here do not fit well, the seller would gladly exchange the shoe for a better fit as all the shoes listed here are free for returns. Thus, you do not have to worry about the fit of the shoe, but rather focus on picking one based on the positive features that the shoes offer. You may also look for shoes from other brands as the shoe list compiled here is based on the user reviews and feedback. Many people who have used these shoes have found them to be a good match for their requirements.